There are those people in the Bible with whom most people are very familiar. For example, consider the question, who were the two people eating the forbidden fruit in the garden of Eden? Even people who have never read the Bible can tell you, Adam and Eve. We know names and stories of Noah, Abraham, King David, King Solomon, Balaam, and his talking donkey, and on and on. However, there exists a plethora of names in both the Old and New Testaments that hardly get a passing glance even though the devoted Christian may read through his Bible every year. For instance, without looking him up can you tell me something about Nahshon the son of Amminadab? There are some interesting biblical references to Nahshon, but he is not who I want to talk about today. Asaph maybe one of those names that prompt the response, “yeah, that name sounds familiar”. Let’s spend a few minutes considering the man and his significance in the Bible. If his name sounds familiar to you it’s probably because it is in the heading of twelve of the Psalms, 50 and 73-83. According to 1 Chronicles 15:17, 19 Asaph was a Levite. According to 1 Chronicles 6:31-48 (Especially verse 39), Asaph was one of the Levites in charge of tabernacle worship appointed by King David. In 1 Chronicles 15:17, and other references, we learn that Asaph, son of Berechiah had four sons: Zakkur, Joseph, Nethaniah, and Asarelah. 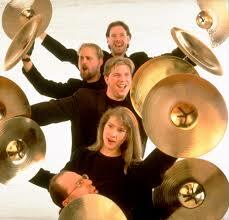 They also served God as Levitical musicians in the first and second temples. Consider this excerpt from the Lexham Bible Dictionary. First Chronicles 25 indicates that Asaph was involved in leading one of three family musicians’ guilds in the temple. Second Chronicles 5:12 shows Asaph leading a guild of singers when the ark was brought to the temple by Solomon. Asaph’s guild of musicians continued to have a role through the reigns of Jehoshaphat (2 Chr 20:14), Hezekiah (2 Chr 29:13), and Josiah (2 Chr 35:15). Second Chronicles 29:30 suggests that a collection of Asaph’s psalms may have existed at the time of Hezekiah. After the exile, members of the guild returned (Ezra 2:41; Neh 7:44) and were involved in the dedication of the second temple (Ezra 3:10). Larsen, Kevin W. “Asaph, Son of Berechiah.” Ed. John D. Barry et al. The Lexham Bible Dictionary 2016 : n. pag. Print. I’ve already mentioned that Asaph’s name is found in the heading or title preceding 12 of the Psalms, 50 and 73-83. There is one little Hebrew language detail we should consider. 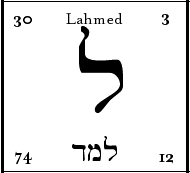 In the phrase “a Psalm of Asaph”, the word translated “of”, is a Hebrew preposition spelled using a single Hebrew letter, the Lahmed (our “L” sound). Because the Hebrew preposition could mean for, by, to, or with, it is difficult to say definitively whether or not Aspah wrote each of the “songs”. It is possible that someone else, maybe King David, authored the Psalms and passed them on to Aspah to sing. The one fact of which we can be absolutely certain is that Asaph had a working familiarity with each of these twelve Psalms. In 1 Chronicles 16:5, we learn that Asaph was in charge of music, and was one of the singers when Solomon brought the Ark of the Covenant into the temple. I hope you will spend some time reading and pondering the twelve Psalms affiliated with Aspah. You may be wondering why I spilled so much ink talking about an obscure Bible character instead of expositing a passage of scripture. One reason is I find it interesting, is how much time and effort skeptics spend attempting to discredit the Bible as God’s Holy message to mankind. Despite the skeptic’s efforts, the scripture is like a gorgeous tapestry woven with disparate, yet totally harmonious threads of detail that demonstrate the intricate and incontestable nature of God’s word. Another reason I wanted to talk about Aspah is his entire family line, including his progeny, was involved in unencumbered worship of the one and only God, Yahweh. More could be said about this fascinating man, but let’s just say Asaph sets a high standard of worship and service to the King of Kings. As modern-day worshippers, we should strive to be just as dedicated in our service and worship. In His sovereignty, God took the time to transmit his Holy Word to audiences through all the ages. He means for us to read, study, understand and apply it to our lives. Psalm 78:title A Contemplation Of Asaph. God is so loving, gracious and kind. Let’s worship him. As a side note, Asaph was a percussionist. See if you can find the biblical evidence for my claim. 3 Replies to "Asaph - a Worship Leader"
I always enjoy reading your posts. There is so much information that we just skim over when reading the Bible. We forget that the whole Bible was given to us by God so we can know Him. Thank you for sharing these jewels with us. Sure do miss you all. The move has been a good thing for me though. Please greet the people from me. Thanks Sharon! You are missed. I’m glad things are going well for you. Hi Sharon. I am glad things are going well. Thanks Mark for explaining an overlooked or actually ignored Biblical truth.